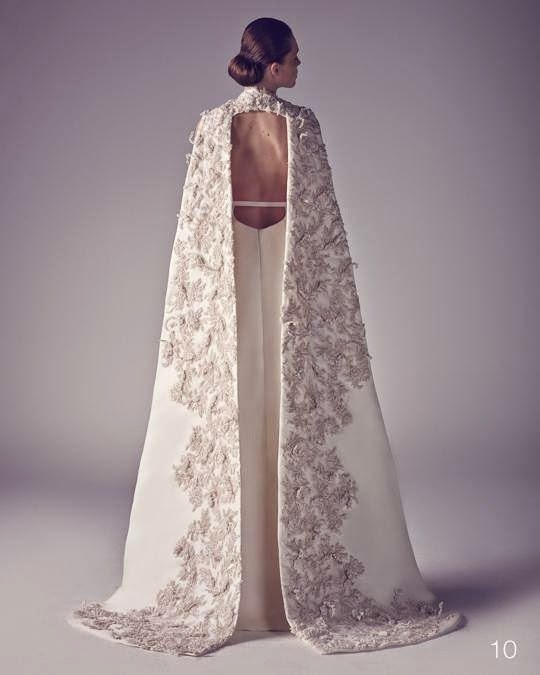 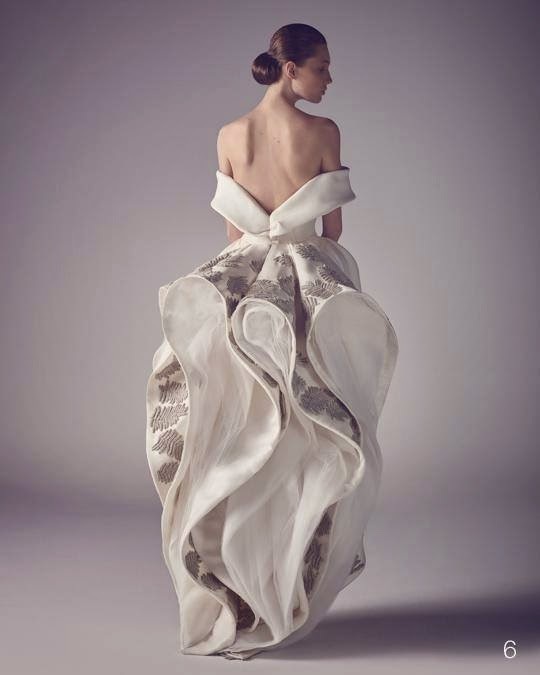 The 2015 spring summer collection from Ashi Studio is fascinating, a celebration with a dramatic touch of the irresistible beauty of the woman in love. 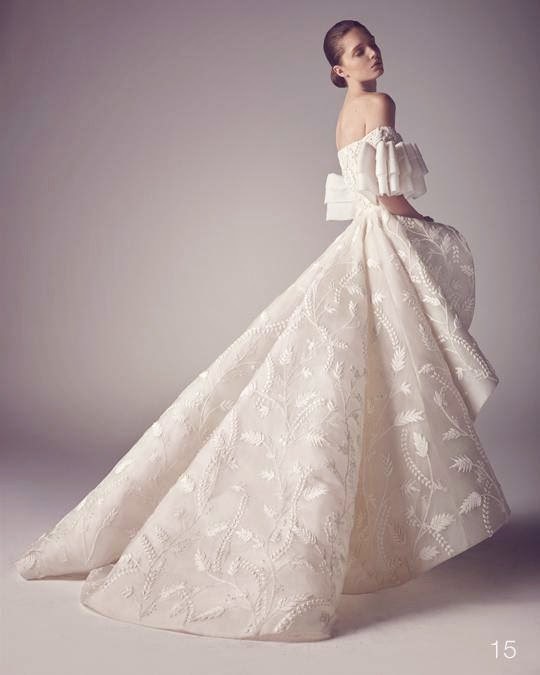 Dramatic detailing, asymmetries, folds, ruffles and gorgeous embroideries are the highlights of a unique bridal collection, where every gown is a style statement. 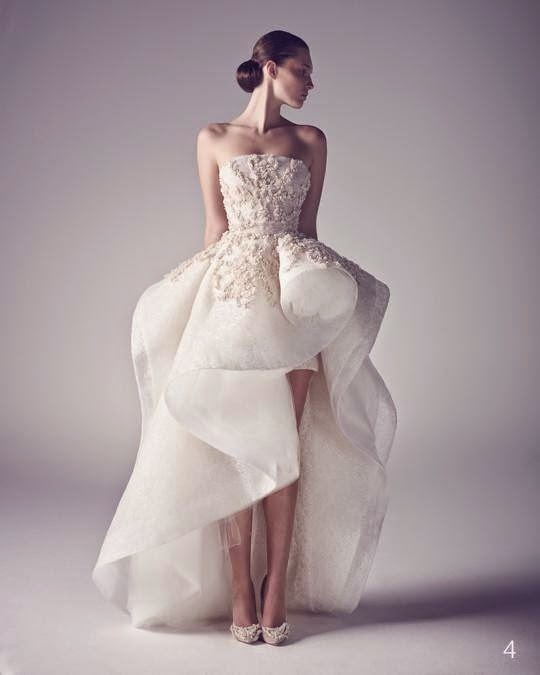 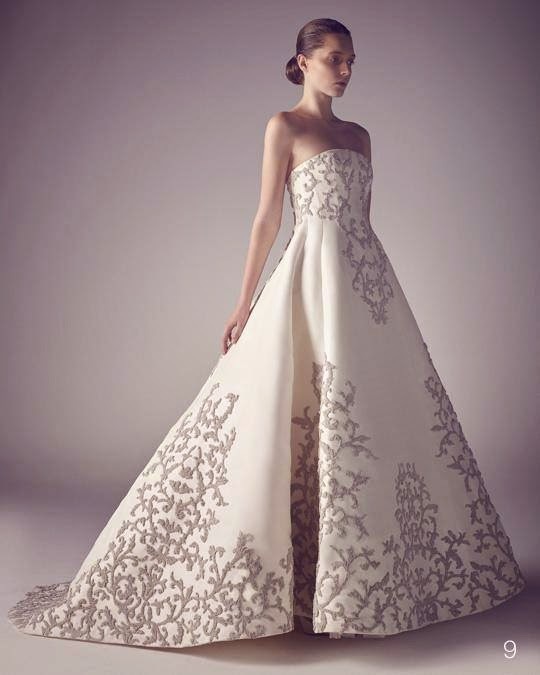 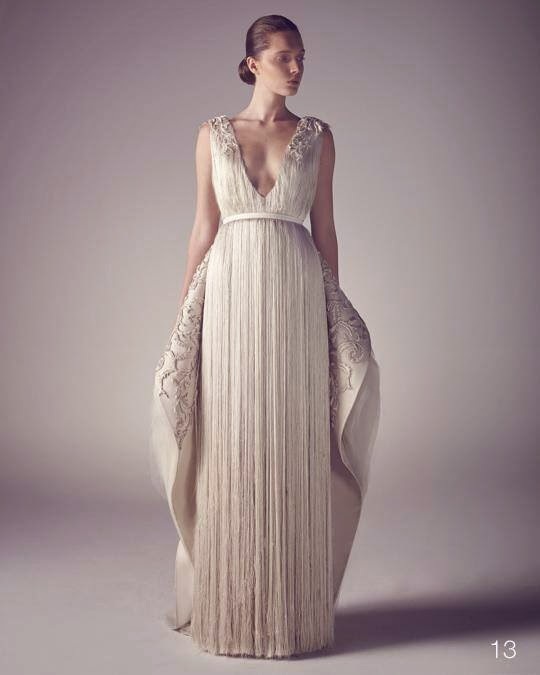 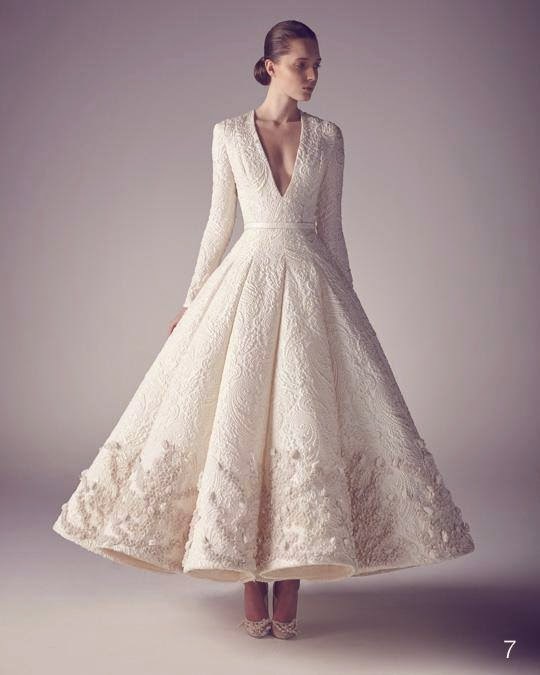 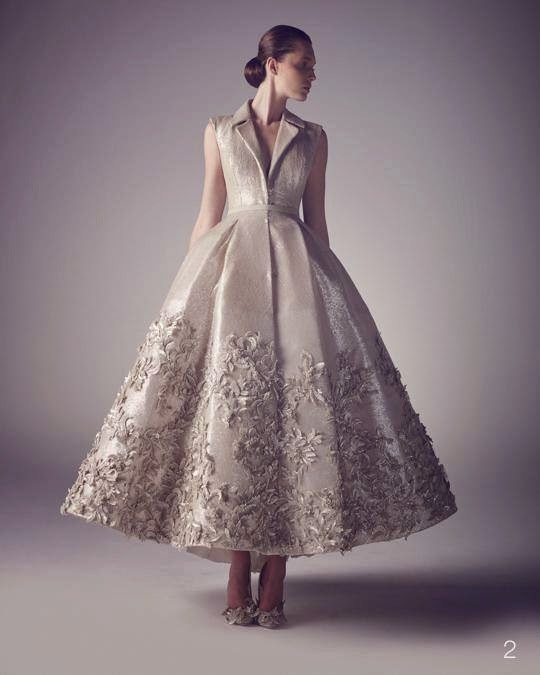 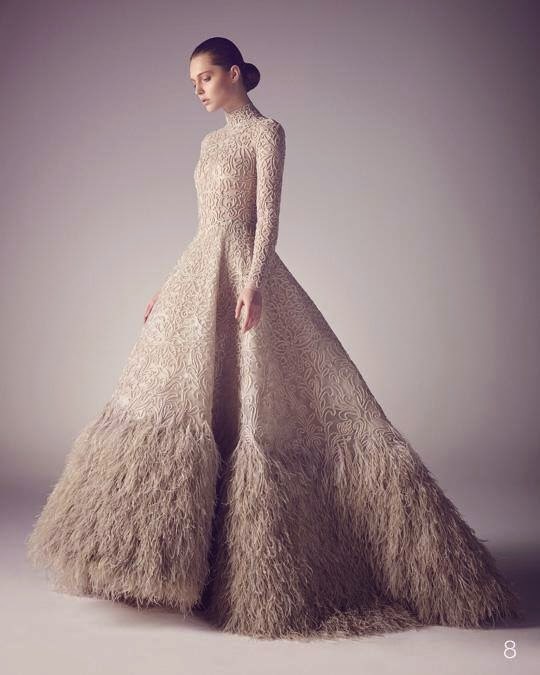 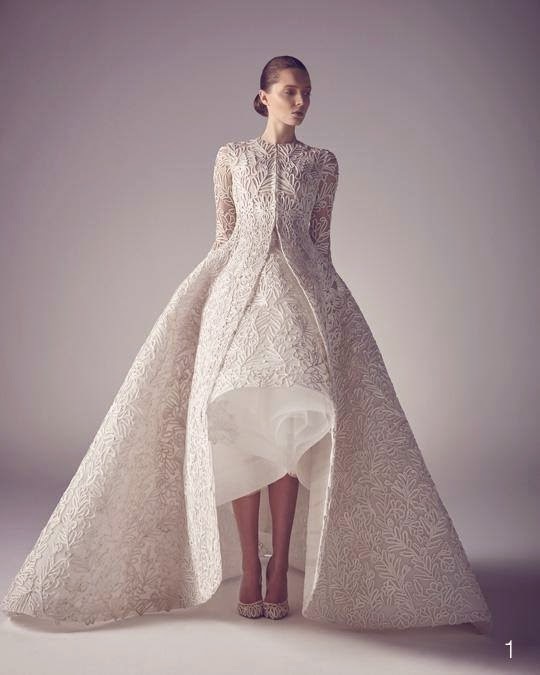 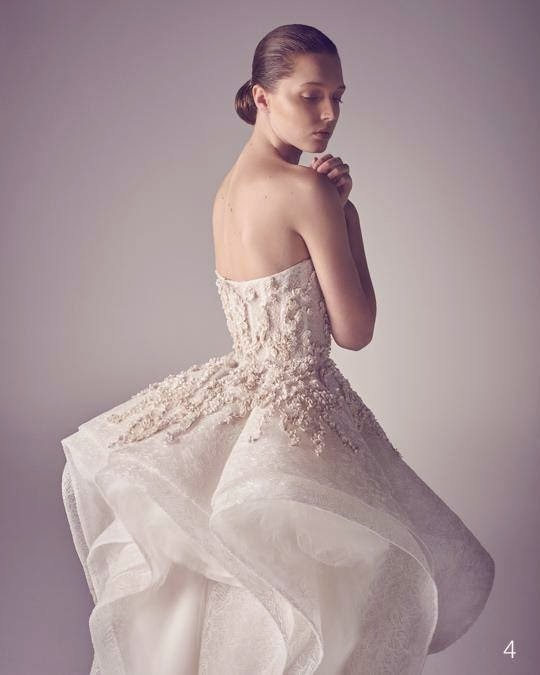 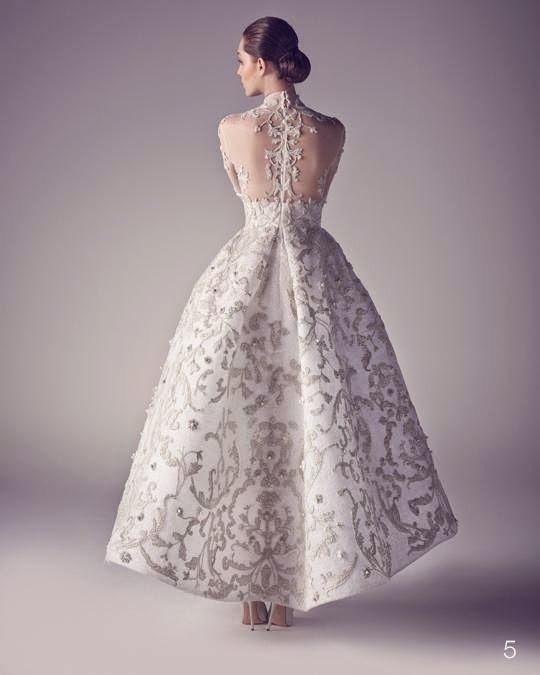 The wedding gowns are personal, sophisticated and feminine, couture expressions of the uniqueness of a woman. 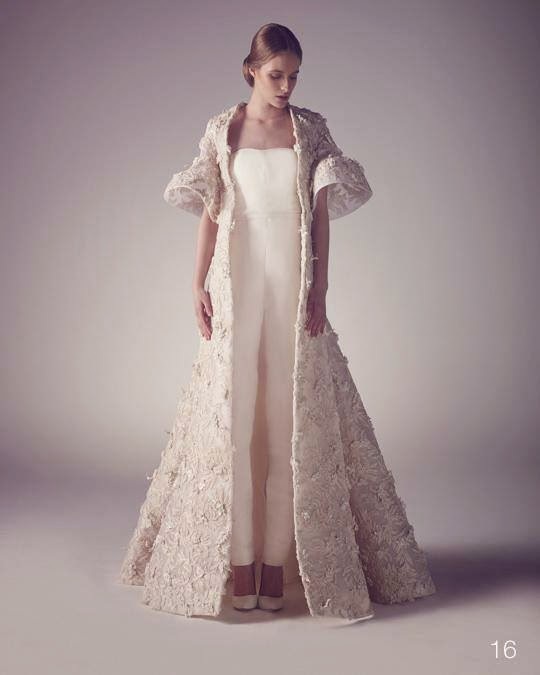 Modern meets classic to reconvert silhouettes and play with the traditional view of the bridal gown. 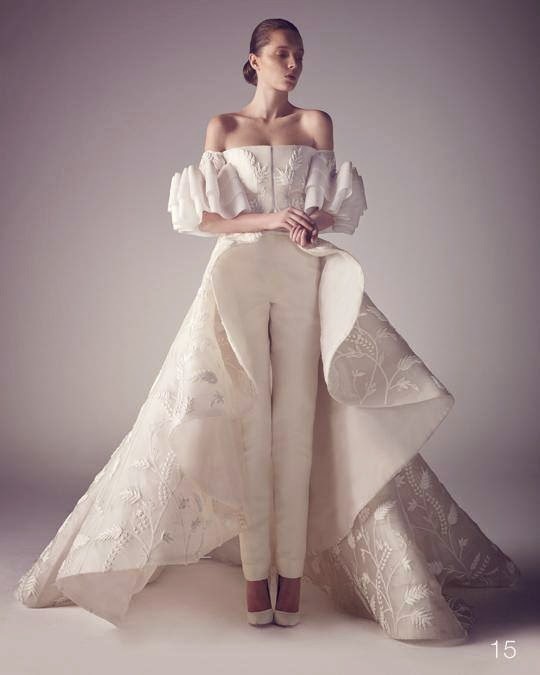 Styles impress with a harmony of details that push for grace and elegance with high volume, trains and capes, fantasy sleeves, off-shoulder necklines, deep Vs and amazing texture.